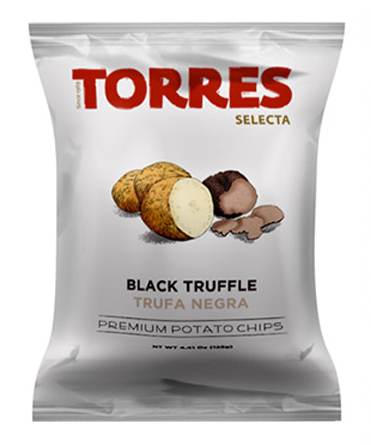 Put a base of Torres Selecta Black Truffle potato chips on a plate. Put aside 2 eggs. Heat the olive oil in a pan. Once the olive oil is hot, fry the eggs to your liking. 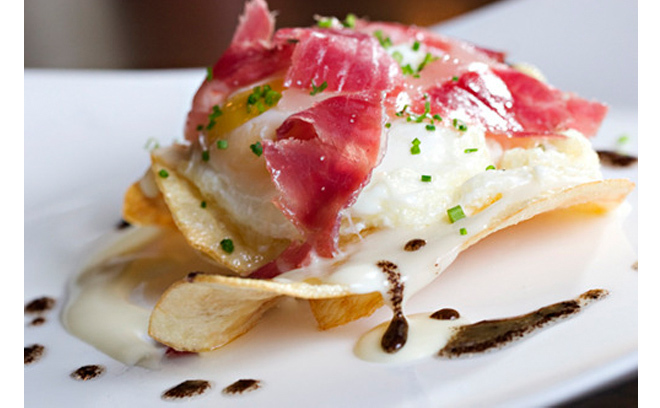 When cooked, place the eggs over the potato chips and add the chopped ham on top. Now we can enjoy a quick, simple, and exquisite dish.